No need to wait. Take on that to-do list today. You have money available in your home equity line of credit1. Now is a great time to put it to use. After the promotional period, your variable rate will apply3. To activate, take a minimum $10,000 single advance on your line4. simply close this window to get back to your session. Member FDIC. Member of the Fulton Family. 1 This product is a variable rate line of credit that is secured by primary residence. Borrower must pay mortgage satisfaction fees at loan termination. 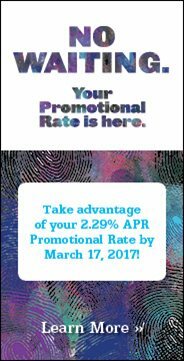 2 The advertised promotional 2.29% APR (ANNUAL PERCENTAGE RATE) is only available to intended recipients of the direct mail offer that currently have an existing line of credit. This offer may not be combined with any other offer. This offer may be withdrawn at any time. Your Regular Payment during the Discount Period will equal the amount of your accrued FINANCE CHARGES or $50, whichever is greater. 3 After the expiration of the Discount Period on 9/17/2017, the APR will be based on the Index (Wall Street Journal Prime) as published daily plus a margin, or your minimum APR, whichever is greater. Please refer to the minimum APR included in the terms of your Credit Agreement and Disclosure. The maximum APR is 18.00%. 4 A minimum, single draw of $10,000 or more is required to obtain the promotional rate. Copyright © 2016 Fulton Financial Corporation. All rights reserved.